Film Review: This Is A Music! In this Summer-Fall double issue of AEMS News and Reviews, we offer five reviews of six films featuring subjects from across Asia. We have a review of two films about Tibet, an area of Asia that is seeing continued strong interest, and other reviews covering topics such as the circumstances of a particular group of outcaste class performers in India, a Japanese family divided by WWII, environmental problems in China and a film about the changing fortunes of an American in China in the early years of the People's Republic, and a film on the very competitive hobby of dove raising in Indonesia. I would also like to bring your attention the open call for the Film Expo at the Association for Asian Studies Conference. Film Expo information is included in this issue; submission deadline is November 30, 2013. I wish as always to extend my thanks to the reviewers for providing reviews of these films, and as always, we welcome suggestions for films we might review and reviewers who would be willing to contribute. Directed by Irv Drasnin, Lucy Ostrander and Don Sellers. 2012. 92 minutes. In English. Reviewed by Matthew D. Johnson. Very few Americans ever gained first-hand experience of Chinese politics during the Mao years. Even those few political travelers and ambitious reporters who arrived in Beijing were insulated from the realities of mass campaigns and witch-hunts for internal enemies. These realities were deliberately concealed from foreign visitors the Chinese Communist Party. Instead, the few accounts that did return from the People's Republic of China mostly glowed with accounts of well-run state institutions, improving economic conditions, and the revolutionary wisdom of the Communists. For the small international community of foreign experts living in China during the Mao years, exposure to the tumult of political upheaval in the name of the revolution could be somewhat more direct. This was certainly the case for Sidney Rittenberg, a South Carolina-born union organizer who became a Communist Party member and direct participant in the Cultural Revolution. The Cultural Revolution was Communist Party leader Mao Zedong's experiment in revolution without a revolutionary party to lead it. 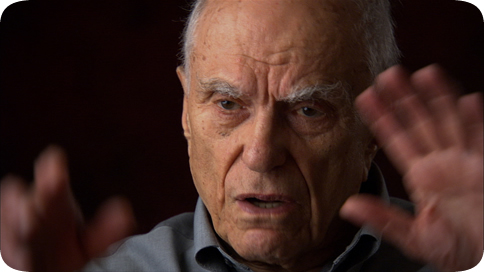 It was, in Rittenberg's account, essentially an object lesson in controlled anarchy whose ultimate outcome for the people of China was death, torture, and spiritual trauma. Directed by Jim De Sève and Kian Tjong. 2012. 65 minutes. Indonesian and English with English subtitles. Only male perkutut, or zebra doves, sing. 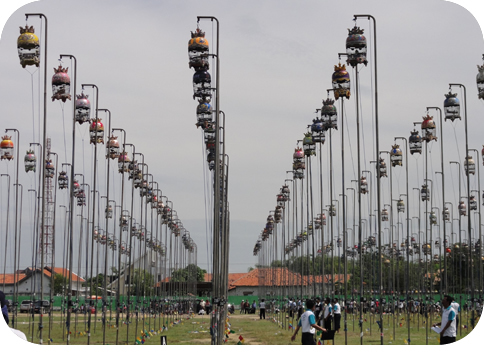 And in the very male world of Muslim Indonesia only men raise these sweetly singing birds, that are worth more than their weight in gold. ManDove (sub-titled Real Men Need Doves) introduces the west to the popular Southeast Asian practice of breeding and raising valuable song birds, often Zebra doves, for lucrative competition. Focusing on four Indonesian perkutut farm owners and competitors De Sève and Tjong walk us gently into a world of the men who devote their days and resources to every aspect of their song birds' care. We are taught by one of the men, Prince Prabukusumo, that in Javanese philosophy a man achieves perfection in life by possessing five things: a wife, a house, a dagger, a horse and a bird, preferably a perkutut or zebra dove. The men in ManDove, who share their homes and time with us, have achieved this perfect life. They, and the filmmakers, show us a peaceful, tolerant, middle-class, and a humorous side of Indonesia and Islam that are seldom shown in American media. Directed by Dan Smyer Yu and Pedma Tashi. 2011. 55 minutes. Directed by Pema Tseden. 2011. 88 minutes. 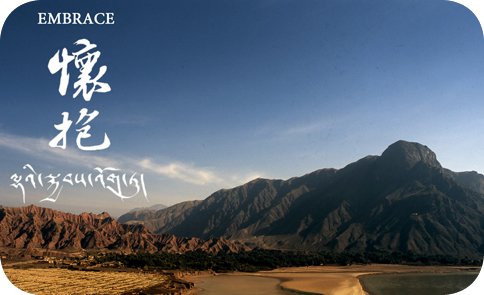 In Tibetan, with English and Chinese subtitles. Reviews by Howard Y. F. Choy. For the first time in Chinese film history, facilitated by digital video technology, Tibet talks back to its metropolitan state in its own voice. Made to represent the Tibetans themselves in their mother tongue, emerging Tibetan cinema, be it documentary or drama, expresses resistance to the pressures of materialistic modernization and market economy imposed by China. If Embrace employs mythology as its method to critique modernization, Old Dog takes demystification as its means to resist commodification. 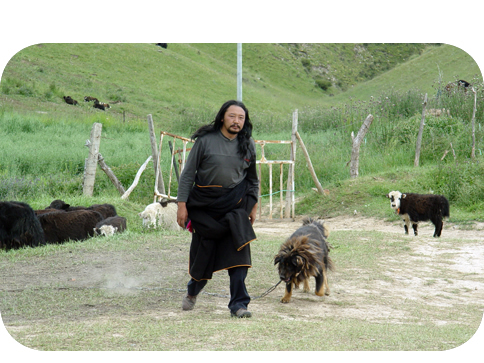 The third feature - after The Silent Holy Stones (2005) and The Search (2009) - of Pema Tseden, the first Tibetan-language filmmaker in China, Old Dog has won several prizes, including the 2011 Golden DV Award at the Hong Kong International Film Festival. A slow, documentary-like, music-free (save songs recorded on the street)movie using sync sound, it tells a simple story from the everyday life of a localsemi-settled herding family. The film's title refers to the Tibetan mastiff, a species that has become the world's most expensive dog worth as much as1.6 million dollars, and hence a hot item on the black market. Directed and narrated by Zoe Sherinian. 2011. 74 minutes. Reviewed by Susan S. Wadley. Throughout much of India, lower caste, often untouchable musicians, provide the music for a variety of religious events, including festivals in honor of the goddess Mariamman and the god Murugan, and sometimes the Virgin Mary. 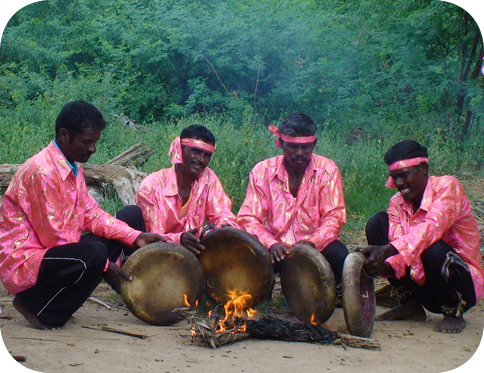 One such group in Tamil Nadu is the Paraiyar frame drummers who were also known for playing music for funerals. Although according to local legend, the Paraiyar originally worked for kings and their drums were used to make announcements for the king and for leading his armies into battle, today they are considered untouchable due both to their playing at funerals and to the leather used in the drum itself. Both the leather drum and the funeral are considered polluting, contributing to their untouchable status. Together with their dismal economic status, the Paraiyar have had no choice but to continue to drum as required by the hereditary social relations found in many Indian villages. Socially outcast, literally not touchable by those of higher caste, they live in separate hamlets and were banned from wearing shirts, putting an honorific towel over their shoulder, or even donning sandals, as noted by a Christian minister who was from an untouchable group. Speaking of his mother's request that he take off his shoes while in his home village in order to avoid high caste retribution due to breaking the rules, he stated, "We feel humiliated." Produced by Stourwater Films . 2013. 28 minutes. Reviewed by Louis G. Perez. The idea of risking your life to prove your loyalty to a country that has imprisoned your friends and relatives only because they resembled enemies seems to be a far-fetched one, until one compares American history in 1942 to what has happened since September 11, 2001. In 1942, American citizens of Japanese ancestry were rounded up like cattle and whisked off to "relocation camps" for "their own protection," mainly because they looked like the people who had bombed the American naval base at Pearl Harbor in Hawai'i. Young boys born to Japanese-American parents (many of whom were themselves born in the United States) flocked to join the American military in part to prove their allegiance to a nation that had imprisoned them simply because of racial profiling. Thousands of these young men served bravely while their relatives languished in concentration camps in the middle of the American desert. 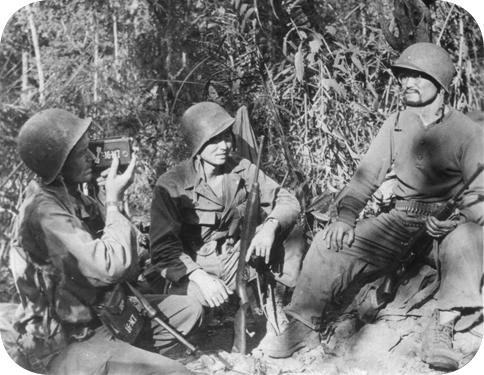 Thousands of them were wounded or killed serving in such military units as the 442nd Regimental Combat Team, the single most highly-decorated American military unit during World War II. Many of these young war veterans returned to the United States as war heroes after having been wounded in combat, visited those concentration camps, separated from their parents by strands of barbed wire. The Association for Asian Studies (AAS) annually hosts the premier North American conference of Asia scholars devoted to scheduled programs of scholarly papers, roundtable discussions, workshops, and panel sessions on a wide range of issues in research and teaching, and on Asian affairs in general. The upcoming AAS conference is scheduled for March 27-30, 2014 at the Philadelphia Marriott Downtown in Philadelphia, PA.
AAS Film Expo was established as a conference program in 2011 by the Asian Educational Media Service (AEMS), to present documentary and independent films on issues reflecting contemporary life in Asia in a dedicated screening room with a schedule running from Thursday through Saturday. For more information, please download the AAS Film Expo Submission Form here.